Donnie Nietes will have to face Aston Palicte again. WBO super flyweight titleholder Donnie Nietes has been ordered to defend his title in a rematch with Filipino countryman Aston Palicte. Nietes (42-1-5, 23 KO) and Palicte (25-2-1, 21 KO) fought to a highly disputed draw last September, with pretty much everyone agreeing that Nietes deserved the victory. That fight was for the vacant WBO 115-pound belt, which Nietes instead won on Dec. 31 in Macau, beating Japan’s Kazuto Ioka by decision. 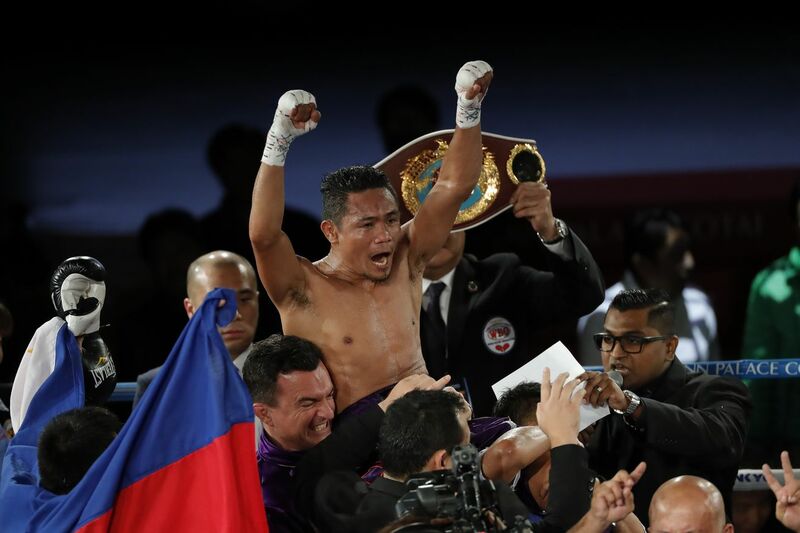 Now 36, Nietes is a four-division world champion, claiming titles at 105, 108, 112, and now 115. Palicte, 28, won an eliminator last Thursday in Alpine, California, stopping Jose Martinez in two rounds. Nietes-Palicte seemed pretty settled to most folks after the first time, I’d say, but the official result was a draw, and now Palicte has fought and won an eliminator. It is what it is. Plus, hey, Nietes is 36, pushing his body fighting at super flyweight, and you just never know. There are certainly worse fights that could have been made.